CBDfx is one of those companies that has stopped at nothing to get their hand into every single little nook and cranny of the CBD market. Vapes, oils, topical creams, edibles, waxes, drinks, etc – if it’s been thought of in the cannabis industry, CBDfx has likely got it in their store. I’m typically wary of brands like this because it usually spells out that they’re more after a quick grab of profit rather than developing an actual quality product. I haven’t tried every single CBDfx product yet, but it seems to me that they’re one of the few that are bucking this trend. In other words, even though CBDfx has got dozens of different products, they all seem to be extracted and manufactured under reasonably high standards. Here’s my CBDfx review done to the extent that I was able to, with the products that I tried. 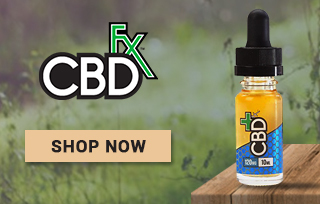 Like most of the CBD companies I like and review here on my site, CBDfx is a USA operation that’s currently based out of Chatsworth, California. Interestingly enough, however, they’ve seemingly managed to build one of the largest reputations in the West Coast CBD industry without disclosing too much information about themselves on the internet (I couldn’t even find an ‘About Us’ page on their site, for instance). That being said, they’re one of the few CBD brands that’s easy to get ahold of, and their Customer Service agents (at least the one I spoke with) are genuinely helpful and knowledgeable – not like some other drones I have spoken to over the phone that work for other companies. They don’t sell any actual product there at their Chatsworth offices, but you can find their CBD oils, vape additives, edibles and other products in dispensaries and retail shops all over the country (mostly on the West Coast, however). Of course their biggest draw is their online store however, and they’re one of the handful of manufacturers who ship legally to all 50 U.S. states (as well as other countries). Products-wise, there are a few things that stand out about CBDfx. Like pretty much all top CBD sellers at the moment, they have adopted the standard CO2 extraction technique, and also have all of their products individually lab tested and posted on each product description page. Huge range of product. Most of my favorite brands are usually specific to CBD oils, edibles, or vape concentrates, but CBDfx is one of the few operations that has options across the entire product spectrum, all of which are made in the USA. Free shipping to all 50 U.S. states. This is very rare in the industry. Maintain quality throughout. In my experience, companies who invest in offering dozens and dozens of different products typically offer less quality and value than smaller companies that focus their efforts on just one or two flagship products. In the case of CBDfx, however, it looks like they’ve got the facilities and financial resources to be able to offer a complete product range, without skimping at all on quality. Simplicity. 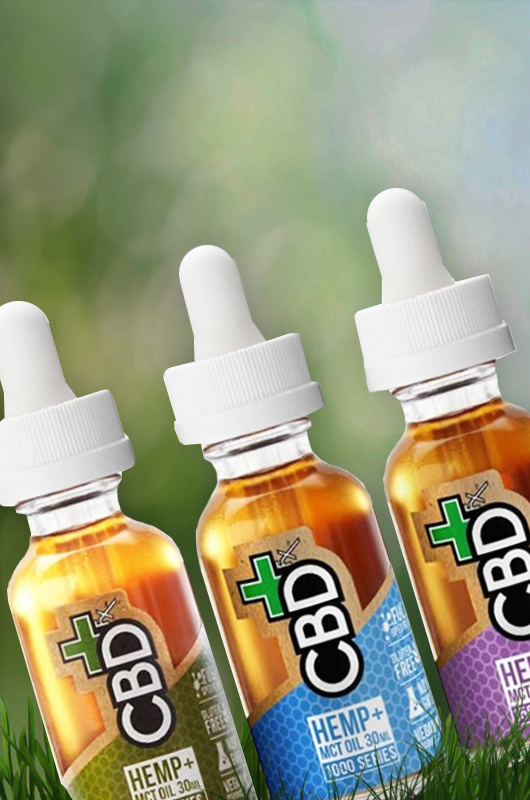 While other companies are wasting time, money and energy on supposed advancements in CBD “technology” (this is especially true for the CBD vape market), CBDfx has taken a step back and has instead emphasized an importance on simplicity and efficiency. Their new disposable CBD vape pens, for example, are probably the best combination of price (they’re only $14.99), quality, and convenience that I’ve yet to come across. Customer service. If you’ve ever bought a CBD product online and have needed to get in touch with the customer service team for whatever reason, you’ll know that the majority of companies out there are completely useless in terms of product knowledge – and that’s IF they even have a number to call them at. My experience with CBDfx, however, (I had to call them about a shipping question) was nothing but top-notch; no wait time, and the representative was incredibly friendly and (surprisingly) very knowledgeable about CBD). Kits and bundle packs. If you’re like me and use CBD multiple times a day pretty much every day of your life, then you’ll appreciate brands who offer value bundle packs if you buy three or four bottles at a time. CBDfx is excellent in this regard as they offer bundles on most of their product line, which can potentially save you a lot of money per month. Like I mentioned earlier, the only thing I would like to see improved with CBDfx is more information on the actual company itself. They’re very easy to get in touch with as far as ordering and customer service, but I would like to have more of a background on who the brand’s leaders are, what their background in the industry is, etc. To date, I have only had the opportunity to try the CBDfx Oil Tinctures, the CBD vape pen, the capsules, and the CBD wax. (Actually my wife has been trying the capsules, and she gave them a “B+” rating as far as helping her get to sleep). I compare pretty much every CBD oil I take with Pure Kana’s Premium Tincture line (these seem to work the best for me for whatever reason), but I will say that the CBDfx 1,000mg supplement had nearly just as much of an effect on my chronic pain, even if the relief was slightly more subtle. Also, they cost just a tad more on a dollar-per-milligram basis. If you’ve read some of my other reviews you’ll know that I’m not a huge vaper, but I will say that CBDfx’s new line of disposable CBD vape pens are the best I’ve tried. I’ll use vapes when I’m out on the road and/or when it’s inconvenient to take my oil, and these absolutely wipe out my pain and the sporadic migraines that I get. The fresh mint is by far my favorite flavor, and the best thing about them is they’re only $14.99 for a 30mg pen. Lastly, I haven’t actually bought any of the CBDfx Wax, but I did try some of my buddy’s using his quartz dab rig, and let me tell you the effects are powerful, and they hit you almost immediately. I would maybe recommend these for folks who suffer from intense pain or maybe even bouts of panic attacks. 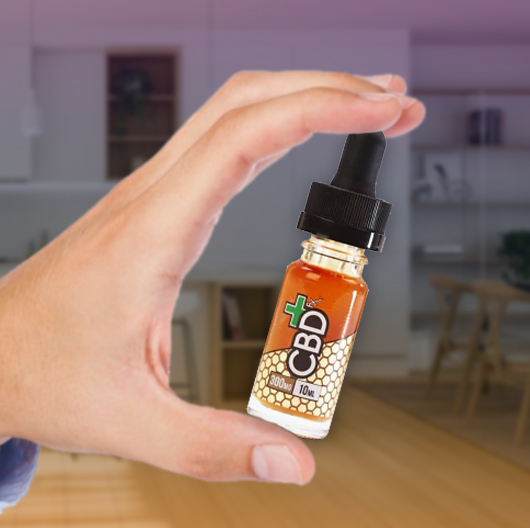 CBDfx Oil (Vape Additive): These are CBD oils that are made specifically to be added to standard CBD e-cig juices for a CBD dose, while vaping your daily juice. The 10mL bottles come in four different potencies (60mg, 120mg, 300mg, 500mg), and are also available in packs of 3 or 12 for decreased costs. CBDfx Oil Tincture: These are the standard oral CBD oils that you take sublingually (drop under your tongue). They come in 500mg, 1000mg or 1500mg, and are available in either single 30mL bottles, 2-packs, or bundles of 3 that contain one each of the 500mg, 1000mg and 1500mg options. CBDfx Vape Juice: The CBDfx vape juice is different from the vape additive in that you can vape it by itself – it’s not an additive for an e-cig juice. They have 9 different flavors, each of which are available in three different potencies (250mg, 500mg, or 1000mg). CBDfx Capsules: These are great for people that might prefer a more “normal” way to take CBD, as opposed to having to place drops of oil under your tongue and hold for 60 seconds. They are non-GMO, gluten free, and come in either packs of 8 or bottles of 30. Each capsule contains a 25mg dose of CBD. CBDfx Gummies: I’ve never been a huge fan of gummies as they just don’t seem to work all that well for me, but I’ve heard good good things about the CBDfx gummies, even though I’ve yet to try them. They come in either packs of 8 or 60-count bottles, and each gummy has 25mg of CBD. CBDfx Chill Shots: This is product that I’ve actually been meaning to try, but I just haven’t gotten around to ordering any yet. It’s basically just a 2oz lemonade flavored drink that contains a 20mg “shot” of CBD, and it’s apparently delicious and very fast acting. CBDfx Wax Dabs: If you’re into CBD dabbing, CBDfx is one of the few quality companies that offers a good isolate concentrate that’s made for this exact purpose. If you have your own dab rig or concentrate vaporizer you won’t need to buy anything extra, but you can also buy a nice little mini wax dab pen if you don’t have a dabbing device. CBDfx Vape Pens and Vape Kits: CBDfx offers a disposable 30mg CBD vape pen (this is the one I was talking about earlier), or they also offer a complete box made vape kit, a mini wax “dab pen,” or cartridges and atomizers that can be used with separate mods. I’ve only tried the disposable pen, but apparently CBDfx vape products are some of the best on the market. CBDfx Oil (Vape Additive): All CBDfx vape additives come in 10mL bottles. Prices are: $19.99 (60mg) / $34.99 (120mg) / $59.99 (300mg) / $74.99 (500mg). They come in single bottles, packs of three, or 12-packs, and you can also order a 4-pack that contains one of each potency for $159.99. CBDfx Oil Tincture: Prices for single 30mL bottles are : $74.99 (500mg) / $124.99 (1000mg) / $159.99 (1000mg). Or you can buy bundle packs: 2-pack (500mg + 1000mg for $174.99) / 2-pack (1000mg + 1500mg for $244.00) / / 3-pack (500mg + 1000mg + 1500mg for $314.99). CBDfx Vape Juice: Single 30mL bottles of vape juice are: $39.99 (250mg) / $59.99 (500mg) / $99.99 (1000mg). Or you can buy 6-packs of each potency for: $215.95 (250mg) / $323.95 (500mg) / $539.95 (1000mg). CBDfx Capsules: 25mg capsules come in either packs of 8 ($19.99) or 60-count bottles ($59.99). CBDfx Gummies: Gummies come in either packs of eight (5mg CBD each / $19.99) or 60-count bottles (5mg CBD each / $59.99). CBDfx Chill Shots: The lemonade flavored CBDfx Chill Shot contains 20mg of CBD in a 2 oz drink, and costs $6.99. You can also buy them in 3-packs ($18.00), 6-packs ($30.00), or 12-packs ($54.00). CBDfx Wax Dabs: A single tub of ultra potent CBDfx Raw Wax Dabs contains approximately 20 servings (20 individual dabs) and costs $49.99. CBDfx Vape Pens and Vape Kits: The single 30mg disposable CBD vape pens cost $14.99, or you can buy them as 3-packs ($40.00) or 12-packs ($149.88). Mini CBD Wax Pens are $54.99, CBD vape kit replacement cartridges are $8.99, and atomizer cartridge tanks are $7.99 for a single, $10.99 for a 2-pack, or $20.98 for a 4-pack. CBDfx also has a nice vape mod box kit that you can buy with out without the CBD vape liquid. The mod is: $39.99 (no liquid included) / $54.99 (including 60mg vape liquid) / $69.99 (including 120mg vape liquid) $94.99 (including 300mg vape liquid) $104.99 (including 500mg vape liquid). I will no doubt be ordering from CBDfx again. I bought a 3-pack of the CBD tinctures and still have a full bottle left, but when I re-up I am definitely going to try the 2oz Chill Shots as well as the disposable vape pens. They ship to all 50 U.S. states, as well as Canada and many other countries throughout the world. Check out their complete line of products at: www.CBDfx.com. CBDfx Chill Shots is probably the healthiest way to drink lemonade. With a 20mg shot of CBD in each bottle, it acts fast and helps you to unwind quickly. After trying the Lemonade Chill Shot, im now a massive fan of the Berry flavored shot – very calming. My skin loves this balm! It makes it so much softer and it doesn’t dry out as fast. I absolutely love the CBDfx chill shots. The 2oz lemonade flavored drink with a 20mg shot of CBD was pretty delicious too and i noticed the effects quickly. Awesome packaging…personally im a fan of the 1000mg CBD Tincture Oil, it’s a great relief for my anxieties. Teagan from Ashburn just bough! Adan from Ashburn just bough! Jacqueline from Ashburn just bough!